New England’s winter wonderland offers postcard-worthy snowy scenes everywhere you turn. The town of Norfolk is a hidden gem in Connecticut’s northwest corner and is the perfect spot for a winter weekend getaway. Founded in 1758, this quaint New England town has retained its charm over the years and makes visitors feel as if they are stepping back in time. Most of the town’s buildings date back to the 1700s and 1800s and have been lovingly restored and maintained- including the impressive library and quintessential white-steepled church on the green. Norfolk has been appropriately described as “a spellbinding concoction of natural beauty and cultural connections.” Known since the turn of the century as a place of respite for writers and artists, including Mark Twain, the serenity provided by the town’s thousands of acres of woods and lakes has been preserved indefinitely by land trusts. And with its close proximity to the Berkshires, Norfolk provides easy access to the wide selection of famed theater, dance and music. As the world gears up for the 2018 Winter Olympics, people will undoubtedly become intrigued with curling once again. Curling originated in Scotland in the 16th century and is one of the oldest sports. One of only two curling clubs in Connecticut, the Norfolk Curling Club has been around since 1956. It’s entirely run by volunteers who are dedicated to teaching, developing and promoting the sport. There are games at the club almost every night from November to March and spectators are welcome. 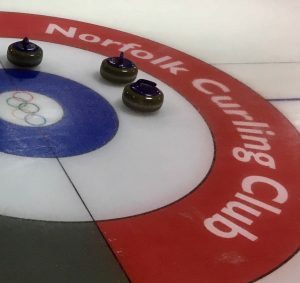 The Norfolk Curling Club also offers “Learn to Curl” events for those who would like to give it a try. The stunning arts-and-crafts style building that is now Infinity Hall was built in 1883 as a combination opera house, barbershop and saloon. Extensively refurbished with a world-class sound system and incredible acoustics, Infinity Hall Norfolk was opened in 2007 as an intimate music performance venue that seats just 300 people, enabling all attendees to get a “front row” feel. Infinity Hall Norfolk now hosts more than 200 performances a year across all music genres. A sampling of the February and March shows include 20-time Grammy award winning jazz guitarist Pat Metheny, guitar legend Eric Johnson, and popular singer-songwriter Ryan Montbleau. Litchfield County, CT and the southern Berkshires are home to an ever-growing number of craft breweries and distilleries. Why not take a tasting tour and stock your bar with fresh spirits made with the freshest local ingredients? If beer is your thing, your dream day begins in Great Barrington at Barrington Brewery. After tasting some of their barn brewed beer made using solar power, make your way down to Big Elm Brewing in Sheffield and order a flight of their award-winning lagers and ales. 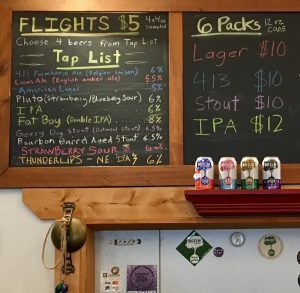 Wrap up your day at Kent Falls Brewing Company, Connecticut’s first farm brewery with some of the most unique beer names out there (how about some “Air Guitar at Work While No One is Watching” pale ale???) And your day won’t be complete without stopping into Berkshire Mountain Distillers for some Greylock Gin, named the #1 craft gin in the country, as well as their spectacular vodka, rum and bourbons. Many of the breweries and distilleries offer tours on weekends. Spending time outside is one of the best ways to take advantage of the beautiful New England winter. With 3 state parks plus more than 6,000 acres of preserved land in Great Mountain Forest, Norfolk offers dozens of scenic trails for all levels. The view from the top of Haystack Mountain shouldn’t be missed- nor the 200 ft. waterfall at nearby Campbell’s Falls. And Bartholomew’s Cobble offers fantastic mountain vistas and has snowshoes for rent on Sundays (weather permitting) for those who’d like to give it a try. Litchfield County and southwest Massachusetts boast more than a thousand farms of all types- including dairy (cow and goat), beef, poultry, maple syrup, honey, orchards, wineries and more. Chefs at many local restaurants use locally grown, sustainable ingredients to create fresh, memorable meals for diners. A few local favorites are Cantina 229 and Gedney Farm, both located in the picturesque town of New Marlborough just across the MA border. 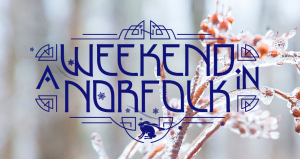 The last weekend in February, Norfolk will celebrate its first Winter Weekend in Norfolk, to highlight the many indoor and outdoor winter activities available for residents and visitors. Participants will enjoy two full days of activities including live music, art shows, winter sports including snowshoeing and ice skating, a restaurant crawl, ice carving, stained glass and sugarhouse tours and more. Come and learn why Norfolk is the perfect spot for your winter weekend getaway in New England.